“It is all up to God—it’s not up to us to avenge and take retribution.” That’s the message proclaimed by Bishop Oliver Dashe Doeme of Maiduguri, Nigeria, one of the dioceses heaviest hit by the deadly raids of Boko Haram. Over the past few weeks, a strike force of the Nigerian army joined by troops from Chad and Cameroon has reclaimed several Nigerian towns that had been occupied Boko Haram, allowing the first refugees to return home. Their pastoral care is the bishop’s primary concern as he is travelling through his diocese during the Easter season. At some stops, confessions took as long as three hours, the bishop’s staff told international Catholic charity Aid to the Church in Need. There is great sorrow to contend with. Most of the faithful had fled into neighbouring Cameroon. Many perished along the way. Homes were looted, their churches burned down. Some parents have not found their children yet. 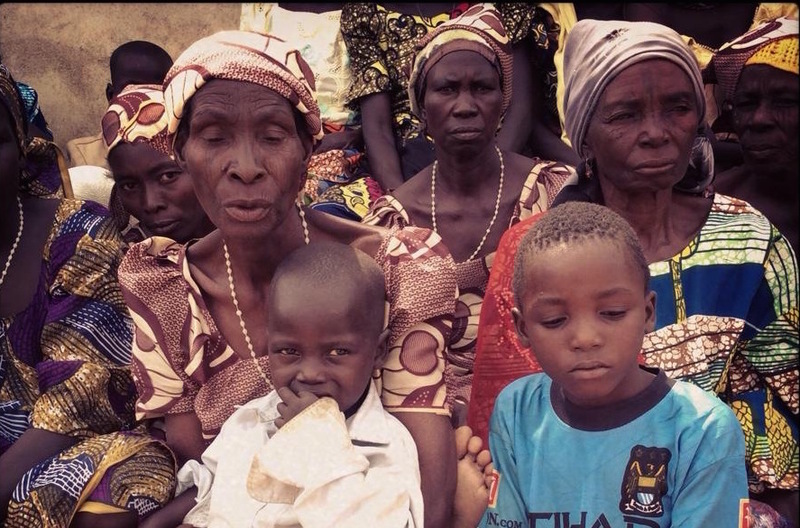 Old people who were unable to flee were killed by Boko Haram when they refused to renounce their faith. Still, the bishop preaches a message of forgiveness. The suffering and devastation in the largest diocese of Nigeria is great:about 5000 of the diocese’s 125,000 Catholics have been killed; and 100,000 people have fled, including 26 of the 46 priests of the diocese, more than 200 catechists and more than 30 nuns. Of the 40 parish centers, 22 are currently deserted or still occupied by Boko Haram. More than 350 churches have been destroyed. Three quarters of all Catholic schools remain closed. The Pope thanked the Nigerian bishops, priests and missionaries for their commitment to peace and emphasized that any form of violence is to be rejected. “Do not grow tired of doing what is right,” Pope Francis urged. In 2014, the international Catholic pastoral charity Aid to the Church in Need supported the work of the Catholic Church in all 56 dioceses in Nigeria with some $1.2M. Most of the aid money was used towards building projects, Mass stipends and the training of priests. Nigerian parishes, monasteries and convents also received money for fuel for the vehicles used for pastoral care and equipment to bake hosts. In response to the great need in the Diocese of Maiduguri, ACN in 2014 provided $55,000 in emergency relief for displaced persons.